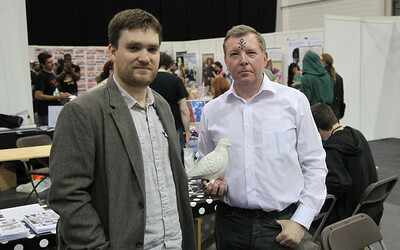 Me and Gunnerkrigg Court author Tom Siddell at MCMExpo. At the Gunnerkrigg Court table. (R-to-L) Me as Reynardine. A ceramic pigeon as City Face. Tom Siddell as himself.